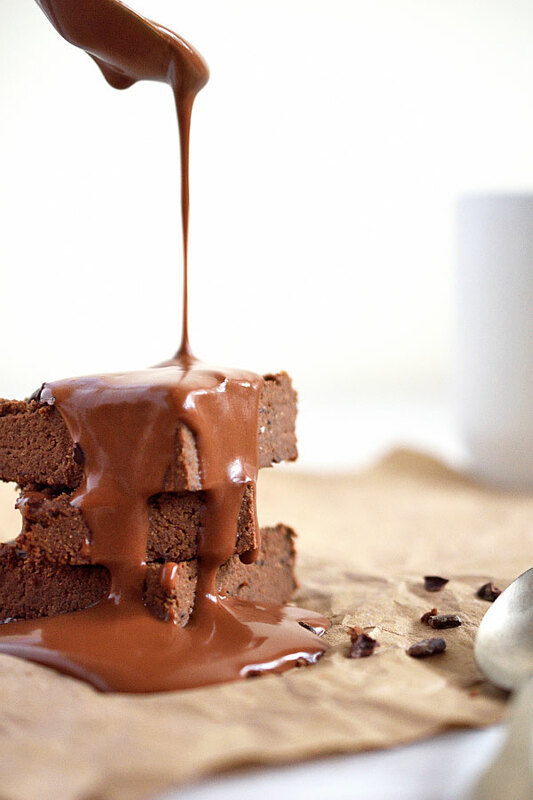 There’s not much better than a rich, dense, fudgy, easy, and healthy brownies. 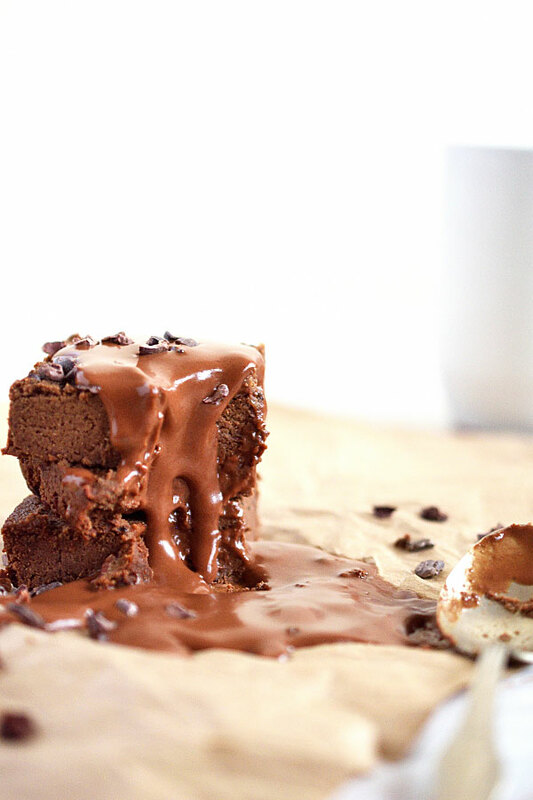 Oh yeah, healthy brownies are definitely something that everyone should be making. Did I mention that they’re healthy??? Mmmm I think I might have. They’re vegan, gluten-free, oil-free, and refined sugar-free, only 7 ingredients, and no one except you and me will know that they have beans and vegetables in them. Although I’d definitely tell people about the fact that there are sprouted black beans and butternut squash in these, just let them taste one first and then tell them what they’re made of. They’ll be like, “Seriously? No way!“ because they definitely do not taste like it! 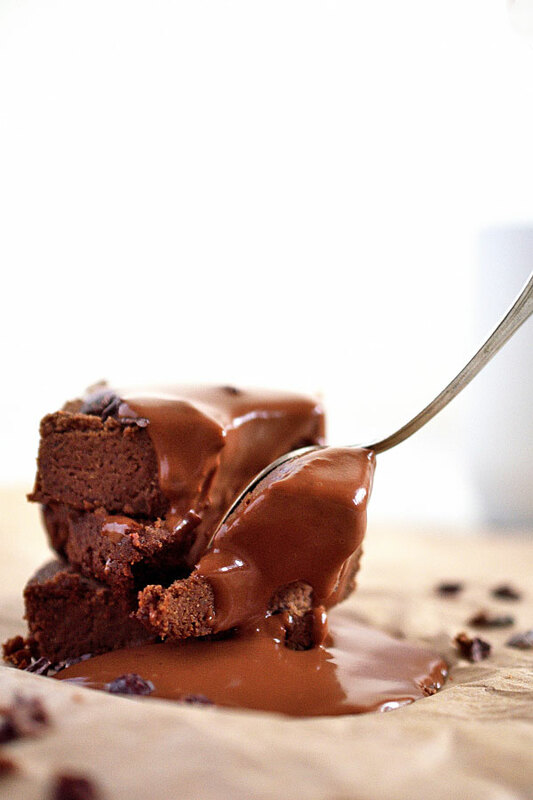 These brownies comes together very easily. A one-bowl batter. The best part about using black bean and butternut squash purée is that is makes the brownies so moist, and it’s a great way to use up all the winter squash that’s in season right now! 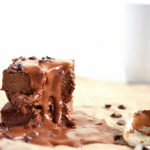 Once you get your purées mixed together, all that’s really needed is a few spoonfuls of ground flax or chia seed, as much cacao powder as wanted for your chocolatey desires, some date paste for sweetness, a pinch of salt, and enough coconut flour to absorb moisture to make it a brownie batter consistency. Optional add-ins: spices like cinnamon, chili powder for a smoky kick, vanilla extract, etc. Mix roughly equal parts puréed squash and beans together in a mixing bowl. A good starting point is about 1 cup total. This is what gives all that incredible moisture to these! Start with about 1/4 the amount of purée used, adjusting to your sweetness. Add one to two heaping spoonfuls of ground flax or chia seeds. This is what will bind all the other ingredients together. You can add more than one to two if desired. Begin adding cocao powder, starting with about 1/4 the amount of purée used, adding to the richness of chocolate flavor that you like. Mix in a pinch of salt and any spices that you would like, if any. Taste. Once you have the sweetness and chocolate level where you want, start adding the coconut flour at about 1/4 cup size at a time. Continue adding flour until much of the moisture has been absorbed and the batter is to a consistency where it can hold its shape, but still easily spreadable. Scoop the batter into your choice size of a non-stick pan. Obviously, the bigger the pan, the thinner the brownie, and the smaller the pan, the thicker the brownie. Choose whatever you love! Cover with tin foil and bake on about 375 for roughly 45 minutes (less if using a convection oven) until done to the moistness you like. Let cool slightly before cutting into desired square sizes, and top with whatever you like. You can use all black bean purée or all squash purée rather than both if desired.